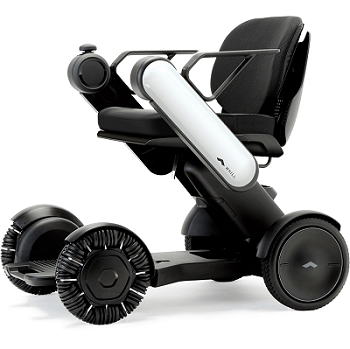 WHILL KK., a Japanese company specialized in innovative products for the mobility industry, has launched a new revolutionary wheelchair for personal mobility featuring cloud connectivity based on a 3G cellular module from u‑blox. The next‑generation WHILL Model C embodies the next generation of power wheelchairs for enhanced mobility. It is a personal electric vehicle that combines a sleek design with the latest innovative functionalities, enabling users to live an active lifestyle. Sturdy and compact with two powerful electric motors and patented front Omni‑wheels, it maneuvers equally well indoors and outdoors. The u‑blox 3G cellular module embedded in WHILL Model C features worldwide UMTS/HSPA and GPRS/EDGE coverage with a small footprint also enabling easy and cost‑effective bolting‑on of a u‑blox GNSS receiver such as the MAX‑7C. As WHILL KK looks into developing autonomous driving solutions for people with disabilities, u‑blox plans to contribute with wireless positioning and connectivity technology.